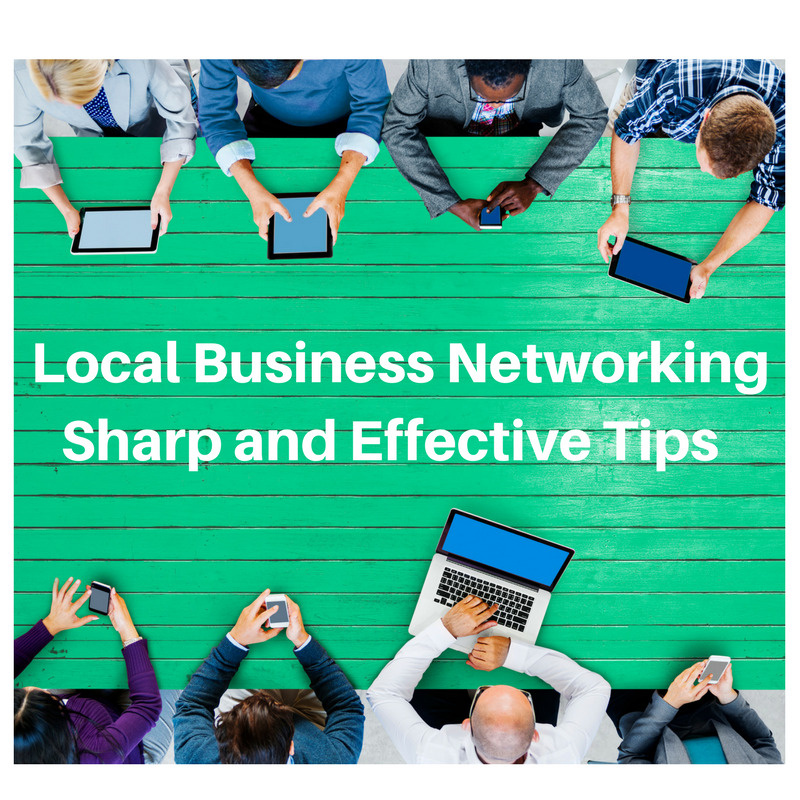 Effective local business networking is the attempt of linking individuals or companies together through a relationship of trust and reliability. The ultimate goal is for them to become walking and talking advertisements for each other. Smart networking is all about establishing that foundation of trust, authenticity and identifying the ways you can help others. Face-to-face business networking with is undoubtedly amongst the most important part of being a successful and driven business owner. This can help you generate referrals, grow your overall customer base and provide you with tremendous opportunities for growth, development and learning. Here are a few quick tips to consider. The right mindset is critical for every undertaking, regardless of whether it’s a regular peer meeting or a participation in a networking group with other business owners. It’s a good idea to be upfront with what you expect from the event. Face-to-face networking brings anxiety and stress which could easily get you overwhelmed. This is, in fact, one of the reasons for which a lot of local business networking undertakings tend to fail. In order to go past this, you should prepare a comprehensive elevator pitch. This is pretty much a very short description of what you do, the value you offer to your audience and the people and business you tend to work with. The main goal here is to deliver this information in no more than 60 seconds in a way which is quite conversational. Unless you give yourself access to proper local business networking situations, you wouldn’t be able to properly connect with other owners and executives. Conferences of the kind are a splendid way to surround yourself with other, likeminded entrepreneurs and create more than valuable connections. Whether you decide to attend a small business conference, you take part in a local networking event or you participate as an exhibitor in a local trade show, business cards are pretty much the face of your company. Not only are they going to provide the recipient with critical contact information but they can also be used to make your brand a lot more memorable and to reinforce your presence. Another splendid way to raise brand awareness and to fortify your reputation is to use well-thought out testimonials in your commercials. This is a delicate matter, though, and you’d have to be very careful. A good way to go about it is to take advantage of celebrity endorsement, expert opinion, man on the street-type testimonials, satisfied users and others of the kind. The key is to make them as natural and accidental as you can. All in all, effective small business networking is a definitive undertaking that you want to take into account when developing your company. Connections are what’s going to push you forward and being able to leverage and capitalize them is absolutely critical.